New Zealand onion exporters are approaching the start of the 2015 season with a degree of caution. With a large European crop continuing to sell right through January, Gus Ross of leading exporter DM Palmer (DMP) said the New Zealand industry is banking on a high-quality crop to deliver early season returns. While a clean start to European sales programmes is desirable, a growing number of New Zealand exporters are likely to be more interested in how key Asian markets open up. 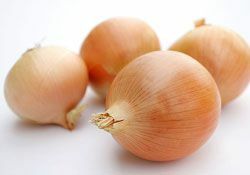 Ross noted that onion export volumes from New Zealand to Asia increased 11 per cent during 2014, with this trend tipped to continue this season. Anthony Bruford, managing director of Aozora New Zealand, echoed Ross’ claims, suggesting there has been a distinct shift towards the Far East within the industry. While Bruford sees enormous potential for New Zealand suppliers to capture the attention of developing middle-classes across Asia, he also noted that significant challenges lie ahead in the region. The inability to access a number of Asia’s key onion markets, including China, South Korea, the Philippines and Vietnam, means the majority of New Zealand exporters remain keen to maintain their customer base in Europe. Ross said what’s shaping up to be an above-average crop will ensure there is enough volume to service all existing markets, with harvesting now ramping up.